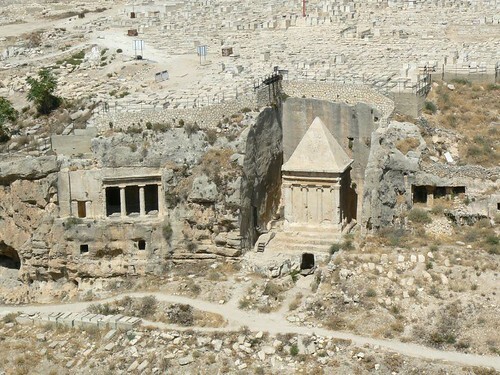 The large number of burial sites and tombs in Jerusalem dating from the Second Temple period (second century BC – first century AD) have been the subject of intensive and continuing investigation. 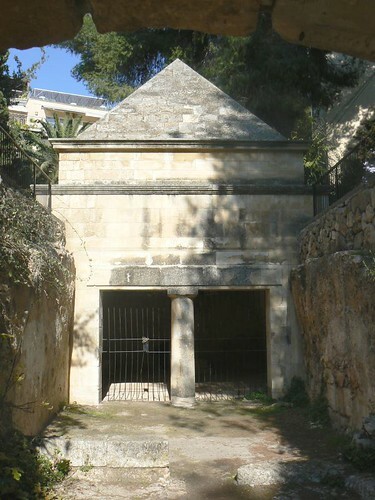 Hundreds of tombs, elaborate and simple, were hewn into the slopes of the hills surrounding the city, mainly on the Mount of Olives and Mount Scopus. 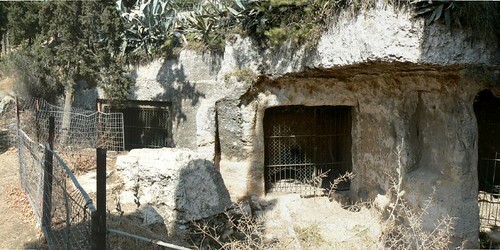 The burial caves were in continuous use for several generations by members of the same family. 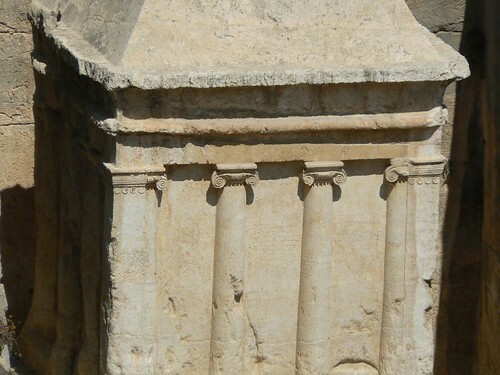 Simple tombs have a narrow opening, sealed with a square stone. 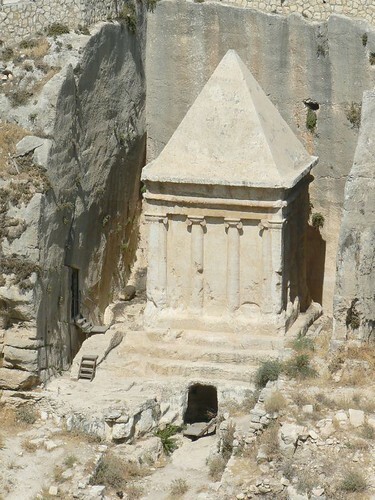 Several dozen particularly large tombs have splendid facades. 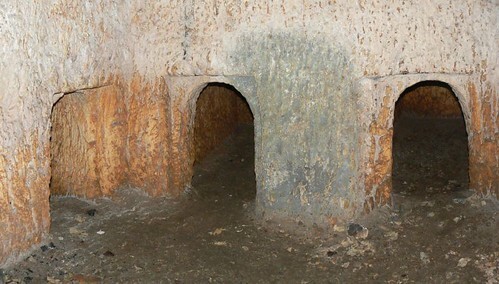 In primary burial, bodies were placed in niches (kuhim) or on benches (arcosolia) cut into the walls of the burial chambers. 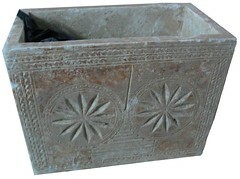 The most typical feature of the Jewish tombs of that period are the stone chests with lids (ossuaries). Thousands of these have been found in Jerusalem. They attest to the prevalent practice of collecting the bones of the deceased for secondary burial. 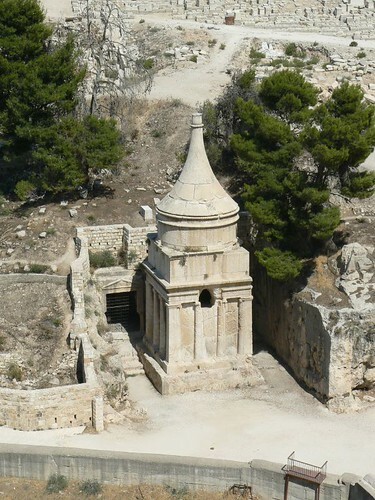 Monument to Absalom, traditionally ascribed to the rebellious son of King David (but the funerary monument dating to the Second Temple period). 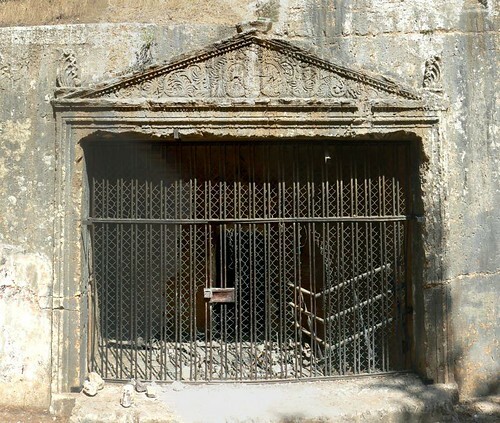 The tomb dates to the Hasmonean period. 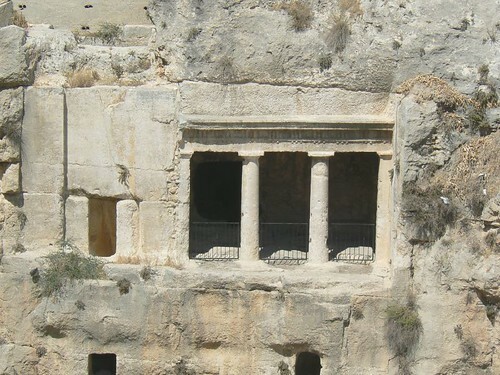 It has a long Hebrew inscription carved on the architrave above the columns, identifying it as the tomb and nefesh of several members of the Hezir family who had served as priests in the Temple. 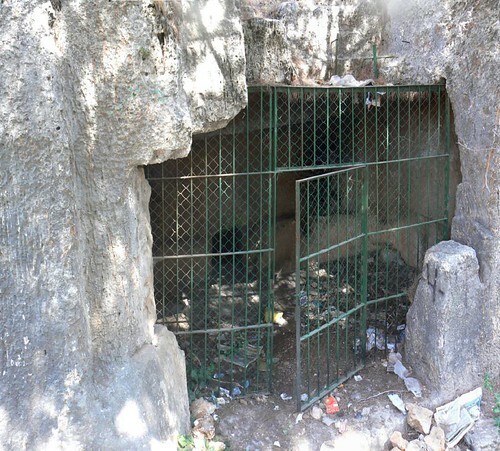 There are no evidence How was buried here (and in the other burial caves) except the fact that this cave contains several dozen burial niches, roughly the number of the members of the Sanhedrin. 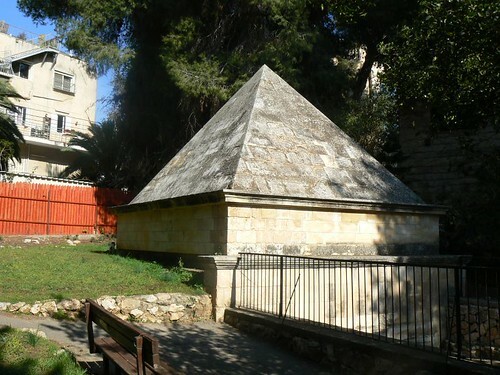 A Tomb from the Hasmonean period, found in the center of the new parts of Jerusalem.